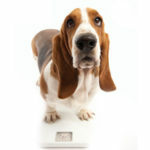 Weight Loss/Control is integral to your pet’s musculoskeletal function, as it affects daily health, recovery or prevention of injury. Additional weight directly correlates with increased impact on your pet’s joints, making your dog or cat more prone to experience a musculoskeletal injury, and likely increasing recovery time following a musculoskeletal surgery. Four Paws Rehab & Fitness will help promote a healthy lifestyle by recommending an ideal kilocalorie amount based your pet’s needs.